The Claytek WSM-1560 15U Server Cabinet (Black) from iStarUSA combines high grade aluminum/steel construction with a shockproof and anti-vibration design to protect your critical systems from any physical damage. A patented spring mechanism on the top and bottom of the cage absorbs all shocks and vibrations, and optional front and rear covers further enhance collision damage. 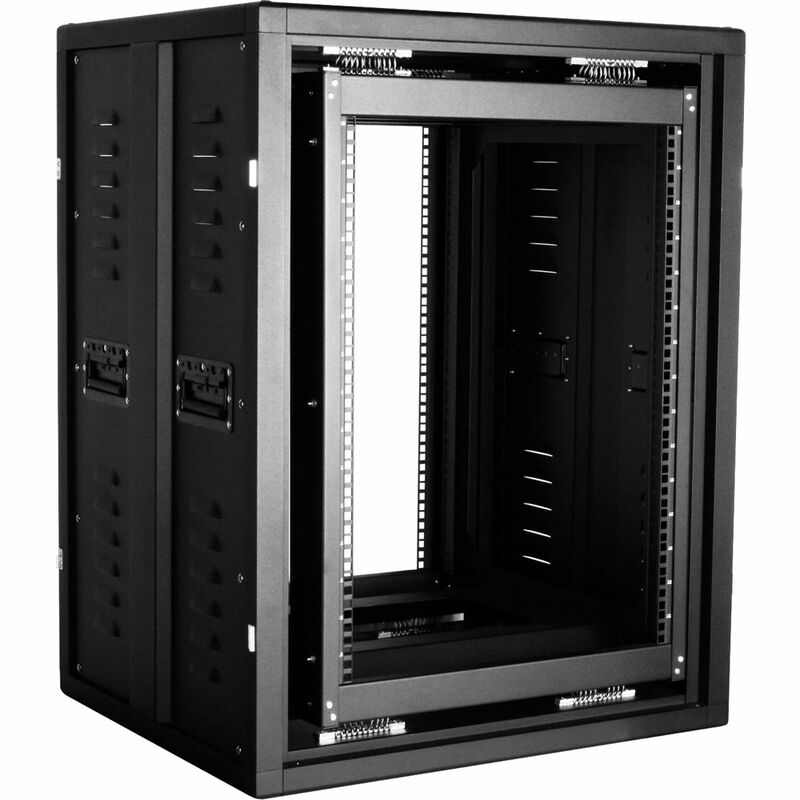 You can rackmount equipment weighing up to 176 lb and side vented holes allow for maximum air flow when the cabinet is enclosed, preventing your expensive gear from overheating. Simply fix casters (optional) to the cabinet and move this cabinet around using around convenient spring-loaded recessed side handles. Box Dimensions (LxWxH) 185.0 x 40.0 x 36.0"